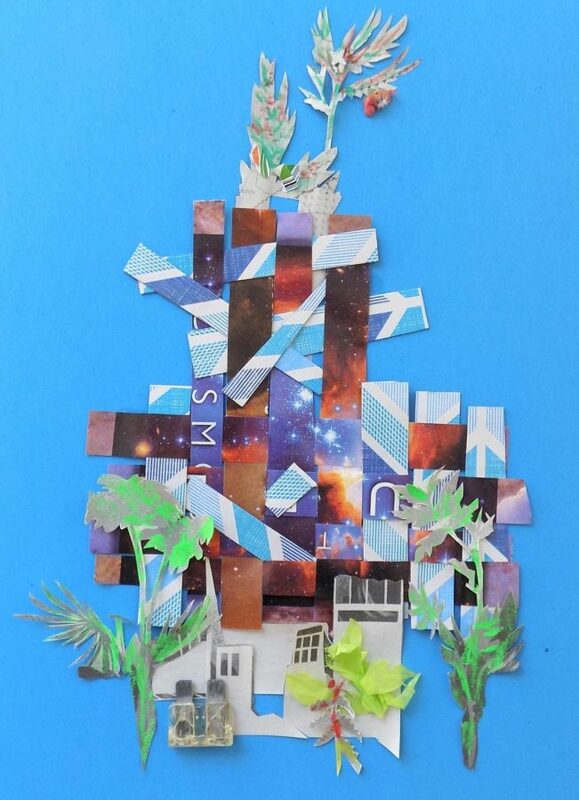 My early work began with handmade paper to which I added dye and paint and in which I incorporated images and objects to create abstract collages. Some were fairly large. 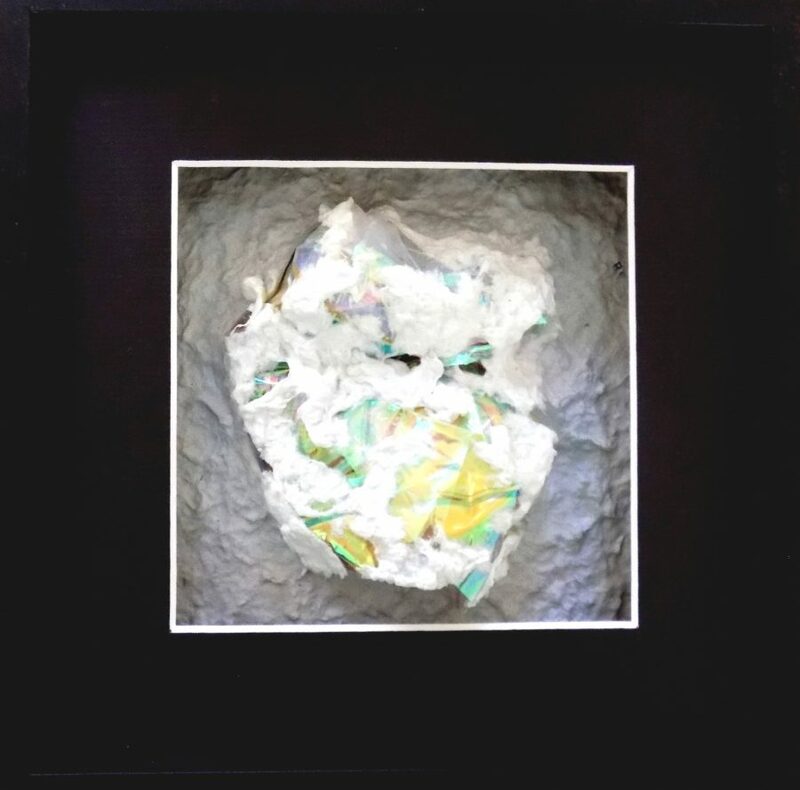 When we moved permanently to California, I lost my ample work space and gradually shifted to smaller pieces, some based in handmade paper, but many developed with found objects, continuing the recycling impulses that began with my papermaking. Those impulses came from the “waste not, want not” imperative of my childhood that expanded into my adult concerns about the indifferent ways modern civilizations have treated both people and our natural world.